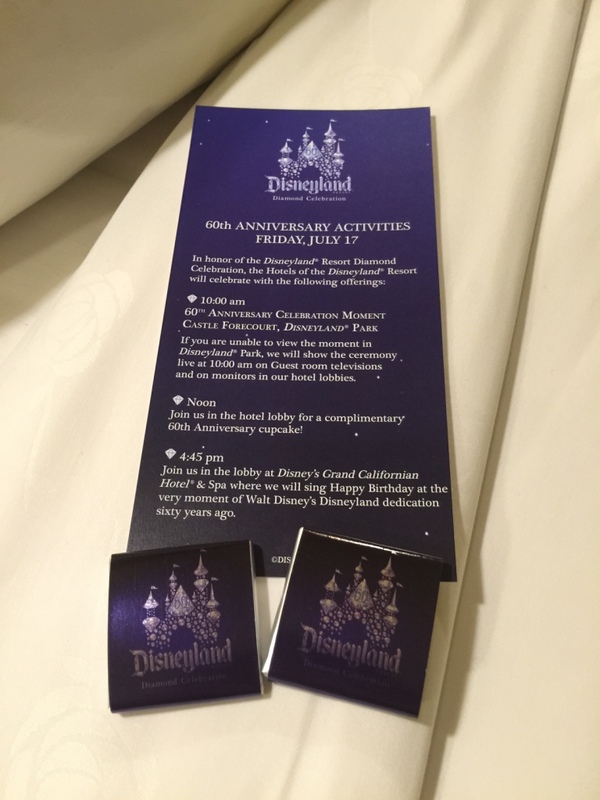 This was the turn down service this evening at Disney’s Grand Californian hotel on the evening of the 16th July. The 60th anniversary kicks off tomorrow morning as shown below. To see more about Disney (including more on the 60th coming up in the next few weeks), click here.